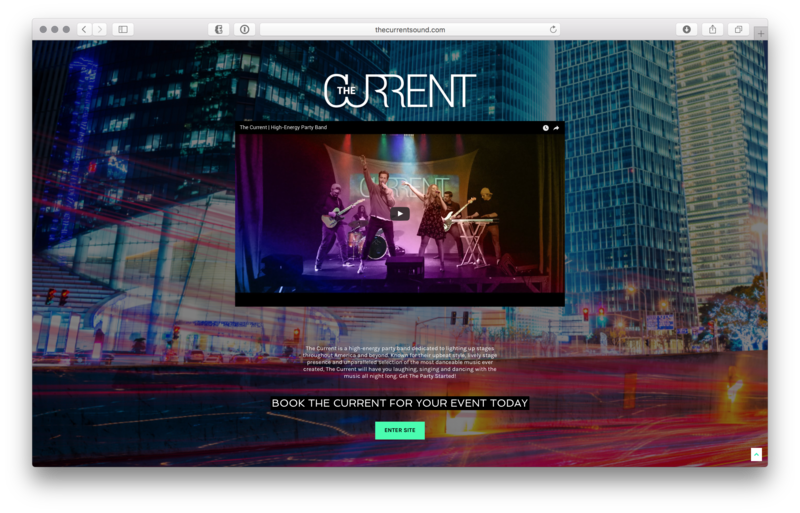 Created website for The Current, a high-energy party band from Salt Lake City, Utah. Click the image above to visit the website. Created welcome landing page to highlight The Current’s new music video. Click the image above to visit the website. 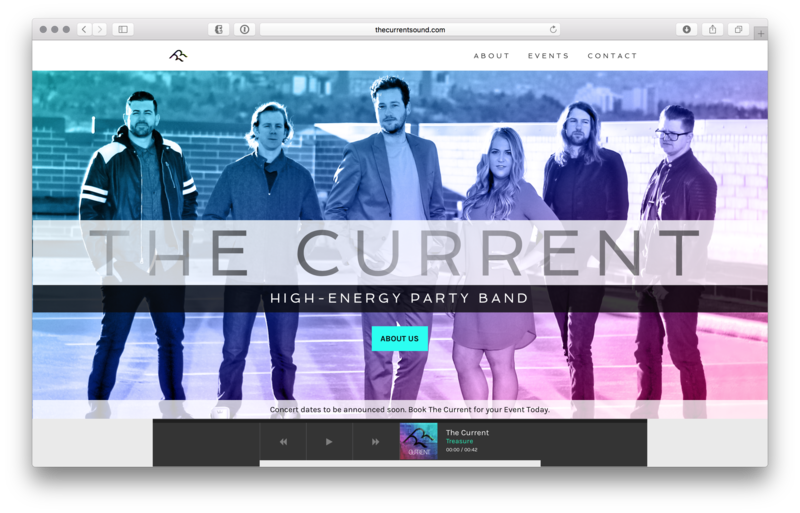 Designed, developed and launched an all new website for the high-energy party band The Current based in Salt Lake City, Utah. Includes CMS access to be able to make backend changes to the site, social media integration, and designed to be fully responsive across all device platforms. Launched in June 2017.